Campers and Adult Leaders will need to plan to arrive between 2 and 4 pm on their first day and departure is normally around 9 or 10 am on their last day. 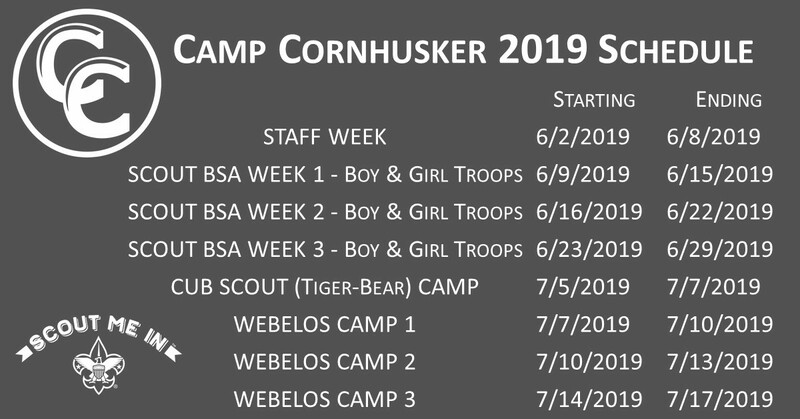 Please contact Camp Cornhusker with any additional questions. All camp participants will need to bring their own tents and will sleep in designated campsites. No facilities are available for campers or motor homes. All cars are to be parked only in the designated parking lot. No vehicles or trailers are permitted in campsites. Each person will be required to provide his own tent. The camp has tents and cots for rent on a first come first serve basis. Cots are available at a cost of $5.00 per session. Tents (3 Man Coleman Dome Tents) are available at a cost of $10.00 per session. If you want a cot or tent, you can request them upon check-in at camp. It is the responsibility of the camper to pick up the rented material at the Camp Quartermaster, set it up and return it at the end of camp. All campers and leaders are reminded that they are responsible for any damage above ordinary wear and tear, they might cause to camp facilities or equipment. All campers are expected to be in the dining hall for each meal. Assignments will be made by the units to serve as table waiters for meals this person is expected to arrive 15 minutes before the meal to set up and clear the table after the meal is over. No one is allowed in the dining hall in swimsuits or without a shirt. Scouts will want to wear their uniform for evening meals and parents night closing ceremony. Family members and other visitors are welcome and encouraged to attend camp for the closing evening meal and campfire program on the last evening of each camp session. During the rest of the camp session, we ask the family members to refrain from visiting the camp. Closing evening meal reservations must be made at check-in. Each family meal is $6.00 per person and is not refundable in event of non-attendance. We will keep all the lost and found materials at camp for the entire summer. All articles will then be sent to the Council Service Center and held until the first of September. After that date, all lost and found materials will be donated to a Lincoln area non-profit. 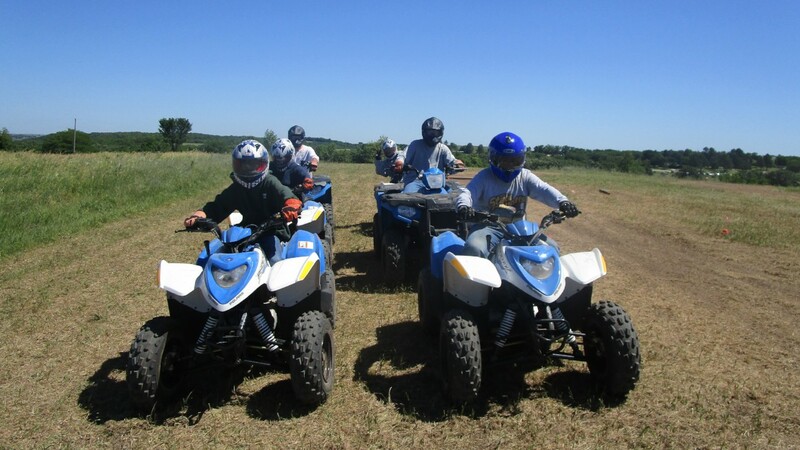 All activities and projects in camp have been included as part of the camp fee. There is a Trading Post, however, to provide additional snacks and souvenirs. Scouts may wish to bring some spending money (est. $30 to $100).